SKS-OCL series Load Reactors are placed in series with electrical equipment to introduce a specific controlled impedance to the AC circuit. 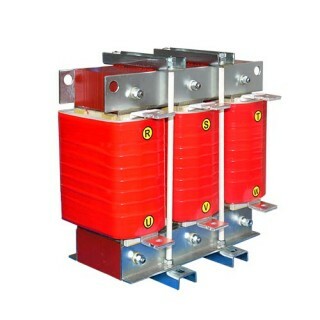 This series are applied at AC drive output side to suppress inrush voltage, reducing inrush and peak current, improving real power factor, restraining grid harm..
SKS-OCL series Load Reactors are placed in series with electrical equipment to introduce a specific controlled impedance to the AC circuit. This series are applied at AC drive output side to suppress inrush voltage, reducing inrush and peak current, improving real power factor, restraining..
SKS-OCL series Load Reactor are placed in series with electrical equipment to introduce a specific controlled impedance to the AC circuit. This series are applied at AC drive output side to suppress inrush voltage, reducing inrush and peak current, improving real power factor, restrain..